Charli XCX performs at The El Rey in Los Angeles. Last month, Charli XCX helped SPIN celebrate the Year in Music by performing at Brooklyn's Music Hall of Williamsburg. And it certainly was a breakout year for Charli with SPIN Magazine naming her single "You (Ha Ha Ha)" as one of the 50 Best Songs of 2013 and her album True Romance was listed #5 on their Top 20 Pop Albums of 2013. In September, she released her new video for "SuperLove," a bouncy, pixie-dust of a song set in a Japanese disco complete with dancing robots and sugary-pop lights blinking to the infectious beat which is the first single off of her sophomore album which she's currently recording. That album isn't expected to be released until later this year. Watch below as Charli performs "Grins", one of my favorite albums from True Romance. 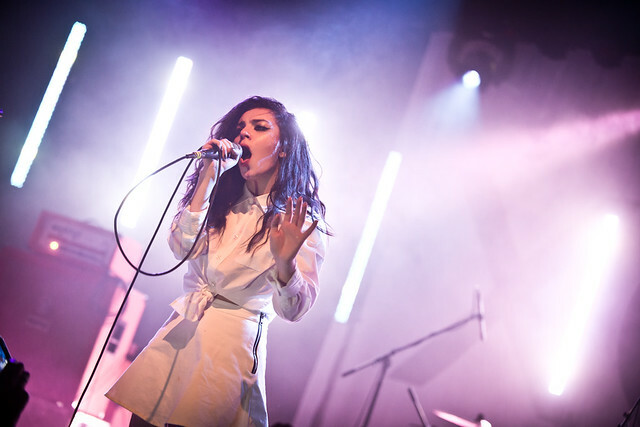 Check out more of Charli's performance right here at Spin.com.